Maintenance is scheduled for 04:00 AM EST on May 19th. There will be new content added. B. Free Chest in the upper left corner, can be open every 4 hours and own 2 in maximum. C. Golden Chest in the upper right corner, reset at 00:00 each day, win 5 times in Chest Arena to open. You can only claim once each day. 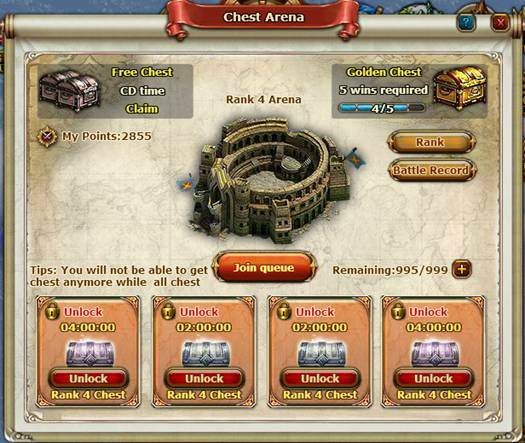 F. Win at Chest Arena also will receive one chest at the bottom of panel. The chest has 4 ranks those are Rank 1 chest, Rank 2 chest, Rank 3 chest and Rank 4 chest. You chest rank is according to your current point in Arena. H. Your arena point will be reset every two weeks. I. You will be on the rank when your points reach the certain amount. You can claim the reward according to your rank in last week after new round match beginning. A. Your character will get attribute bonus after you buy monthly card. 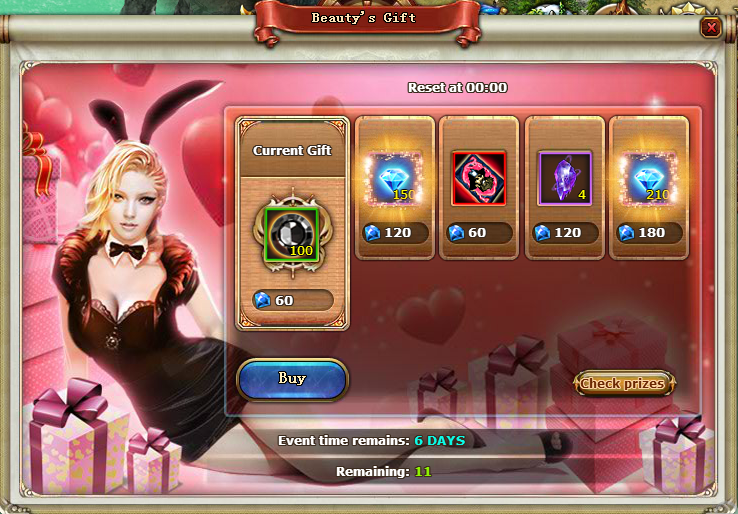 Additionally, you are able to claim daily reward as well. B. 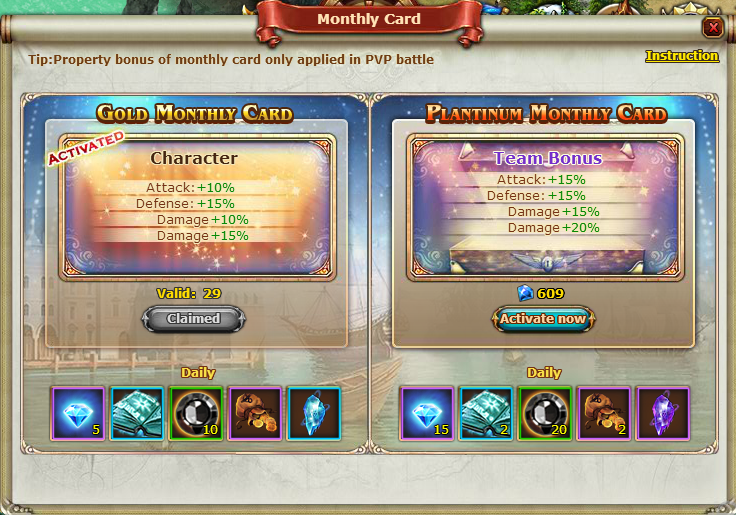 There are two kinds of monthly card those are Gold monthly card and Platinum monthly card. C. Monthly card can be upgraded from Gold to Platinum in a discounted price. A. You cannot purchase Golden Monthly card while Platinum card is valid. B. Player can only claim one kind of daily prize. 3. 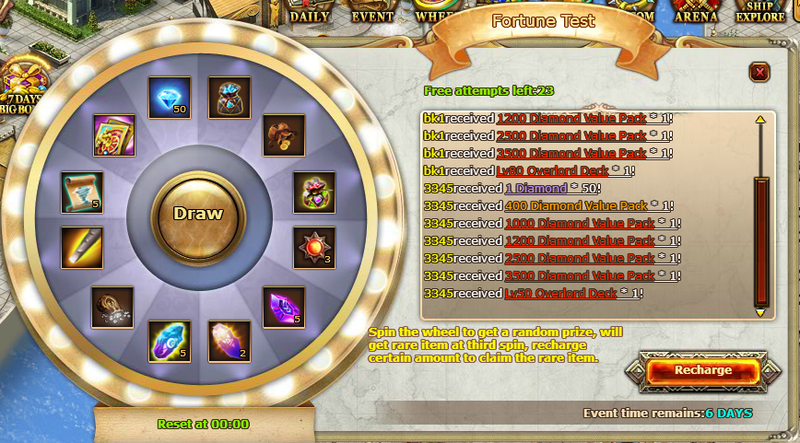 Fortune Lotto event is online from May 19th to May 25th. 5. 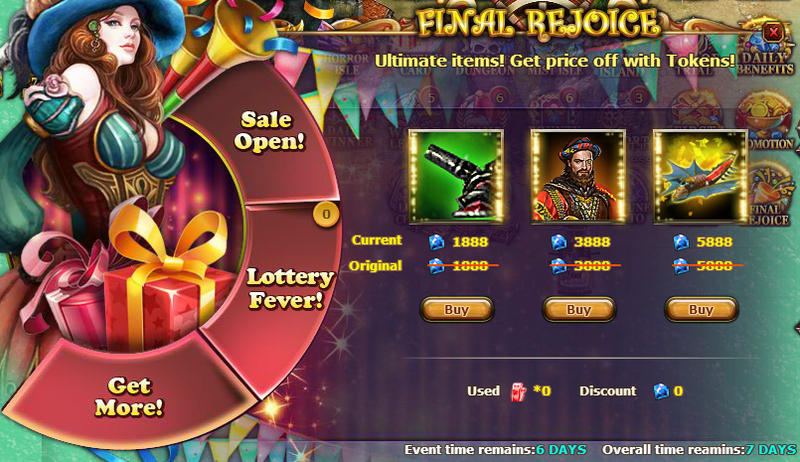 Final Rejoice will be online from May 19th to May 25th. 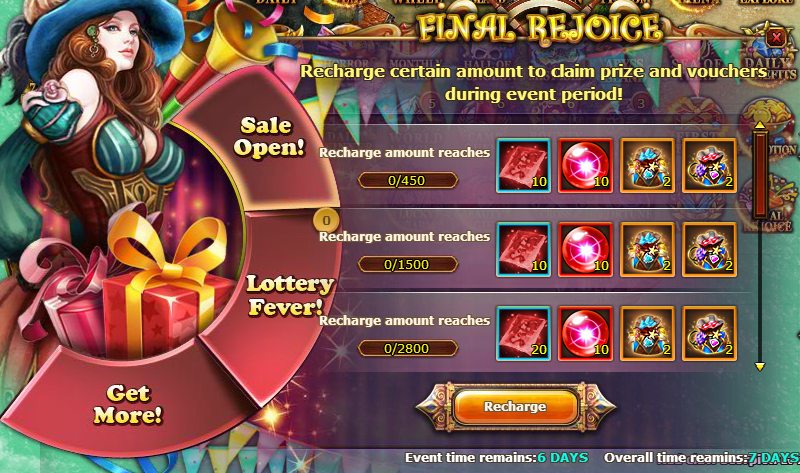 C. During event time, if your recharge reach the certain amount, you can claim tokens and gift. 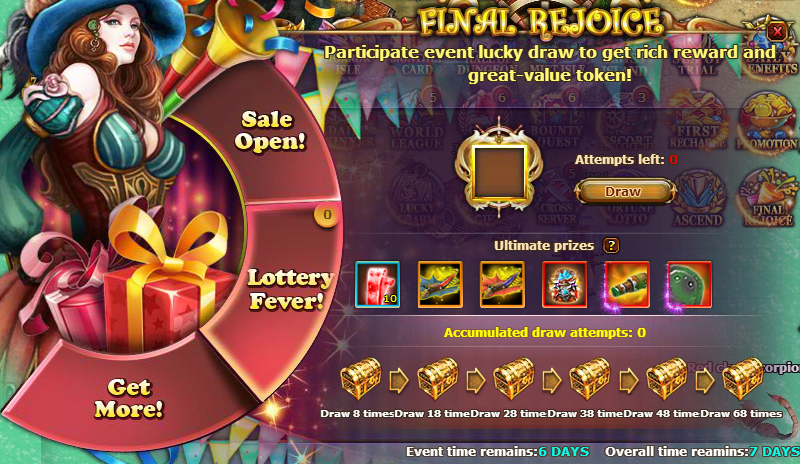 D. Tokens can be used in the lottery, if your lottery times reach the certain amount, you can claim the corresponding chest as well. E. You have chance to get vouchers in the lottery, it can be used to deduct a part of price to buy the awesome prize! !